Over the weekend some 1,700 jabs were given at vaccination clinics across the county. PUBLIC HEALTH WALES has confirmed that the epidemic of measles in Swansea has now reached 620 people. Despite the 1,700 jabs that were given at vaccination clinics at the weekend, the public health information authority is warning that there is no sign of an end to the outbreak. 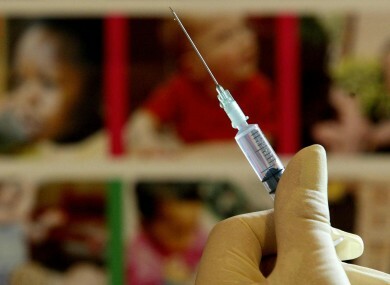 At least 6,000 children remain unvaccinated in the county of Swansea and Public Health Wales today warned parents, carers and communities to ensure all children receive the two doses of the MMR vaccine needed to ward off measles. Commenting on the outbreak today, Dr Marian Lyons, Director of Health Protection for PHW said the response at the weekend was “excellent” and that more than 900 children received non-routine MMR vaccinations in GP surgeries last week. Around 6,000 children in the Swansea area alone are still not fully vaccinated against the infection and Lyons said “we cannot be confident that the outbreak will not continue to grow with so many children still at risk from this very contagious and potentially fatal disease”. Those not vaccinated are highly likely to catch the disease and it is just a matter of time before a child is left with serious and permanent complications such as eye disorders, deafness or brain damage, or dies. Measles cases continue to be reported across Wales, with the majority in Abertawe Bro Morgannwg, Powys and Hywel Dda Health Board areas. It is inevitable that some children vaccinated in the last week will will already be incubating measles and vaccination will not prevent them from becoming ill, but the dose is likely to be milder than if they had not receievd the vaccine. Lyons added that measles “cannot be taken lightly because you can never tell who will go on to develop the more serious complications of pneumonia or encephalitis (inflammation of the brain)”. MMR vaccination offers the only protection against these complications. Email “Measles outbreak in Swansea spreads to 620 people”. Feedback on “Measles outbreak in Swansea spreads to 620 people”.